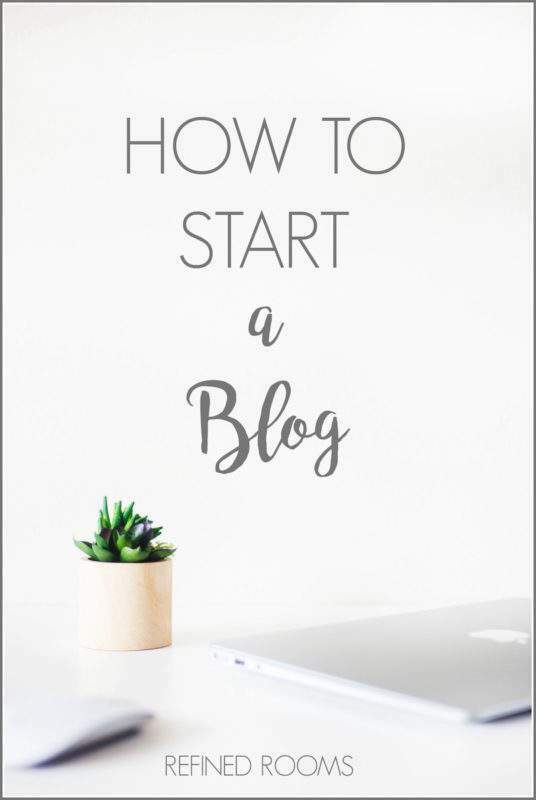 When I first started out on my blogging adventure a few years ago (which coincided with the start of my professional organizing biz), I really had no clue about blogging. I just knew that it was something small business owners should do in order to establish a presence online. Little did I know how much I would grow to LOVE blogging as both a creative outlet, and as a way to help others. 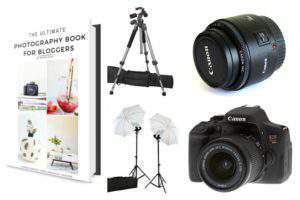 In fact, I became so passionate about blogging that I phased out my professional organizing business so that I could focus completely on growing my blog. 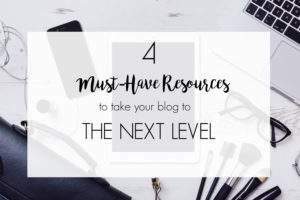 Although I don’t consider myself to be a blogging expert by any means, I’ve definitely learned a lot during the course of my blogging journey. 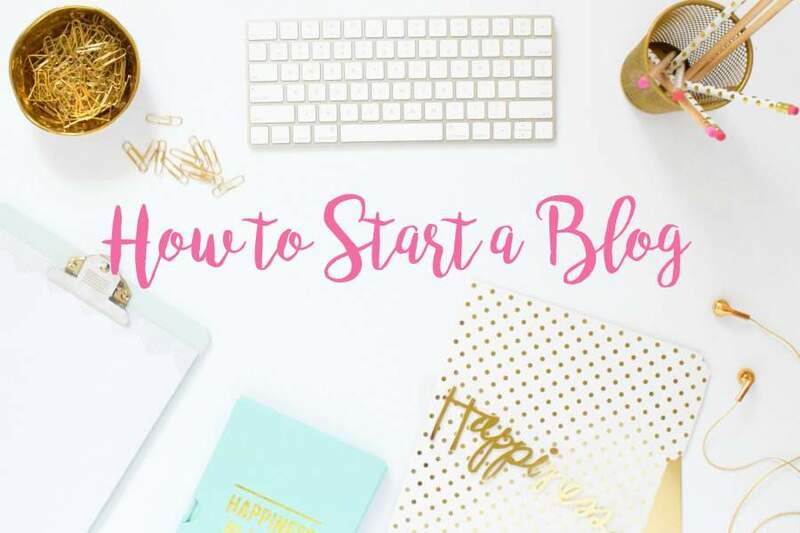 If you’ve dreamed of beginning your own blogging adventure (as either a hobby or a biz), I’d love to help you get started by sharing the basic process you’ll need to follow to start a blog. I think you’ll be pleasantly surprised to learn that it really isn’t that difficult! 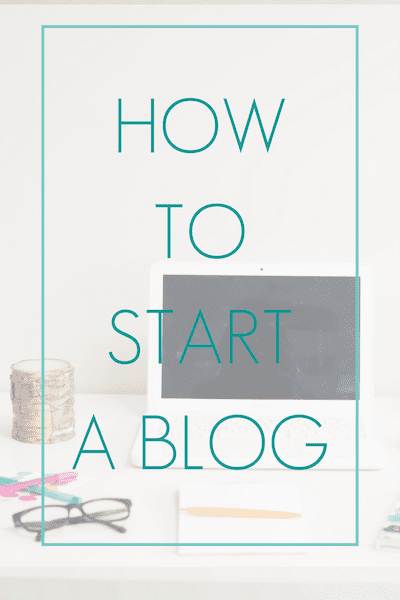 Honestly, this is probably the most difficult part of starting your blog! Be sure to set aside some time to carefully choose the name (& URL) of your blog. It’s a real headache to change the name down the road, so believe me, you want to get this right. If getting found in the search engines is important to you, consider using relevant key words in your blog name (e.g., if your blog will feature DIY projects, use the term “DIY” in your name). If you plan to create a business around your blog, you’ll need to become familiar with the rules on creating a business in your state. You’ll also want to make certain that no one else is operating a business under the name you’ve selected for your blog. Need help choosing a name? Check out one of these blog name generators to get you started. 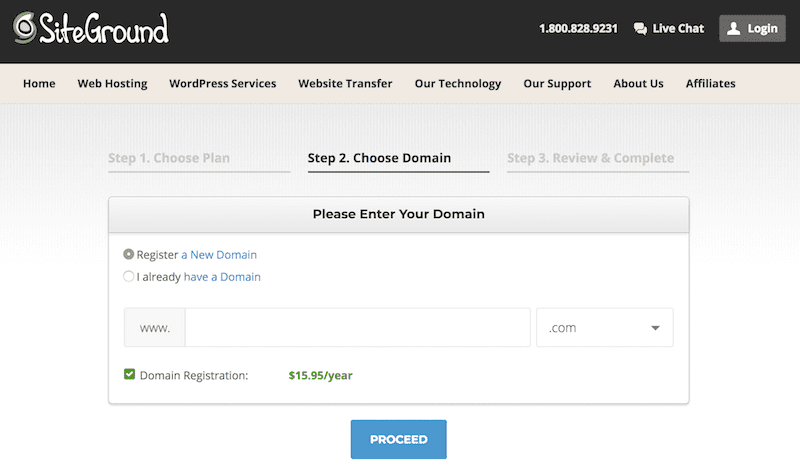 Once you’ve selected your blog & domain names, you’ll need to register/purchase the domain. You can choose to register your domain with the company you purchase your hosting package from (more on that in a minute). Some experts suggest purchasing your domain name separately from your hosting package, so that all of your internet “eggs” aren’t all in one basket. Although purchasing separately can help with site security, it can also make the process of getting up and running a bit more complex. The choice is really up to you. When I started out, I purchased my domain with GoDaddy. Their customer support has been top notch over the years, and their prices are very affordable. If you want to keep things as simple as possible, then you’ll want to register your domain name with your hosting service. There are many blogging platforms out there to choose from. I highly recommend starting out with a self-hosted site using WordPress.ORG. Yes, there is a small cost involved (whereas many of the other platforms are free). However, this platform definitely gives you the most freedom and the most control over your blog. 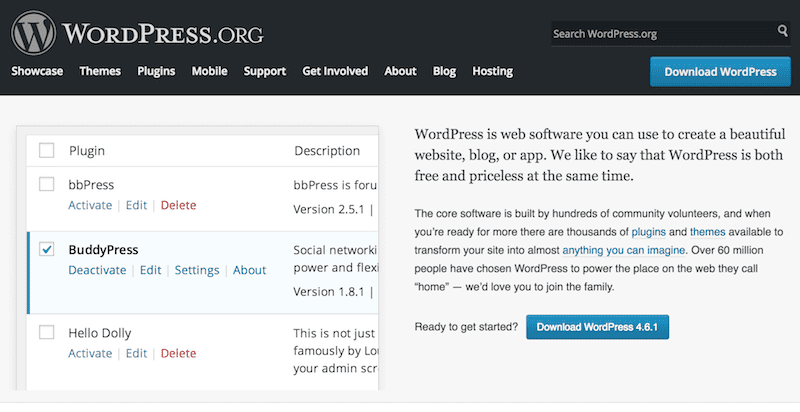 With WordPress.ORG, you OWN your blog and have total control over your own site. But if your blog lives on one of the free platforms, THAT company owns your blog and is in control. At any point, they can decide to no longer host your blog and simply pull the plug on it. Imagine the feeling of waking up to find that your blog no longer exists. NOT GOOD. Oh, and I should mention that you want to choose WordPress.ORG NOT WordPress.COM as your platform (confusing, right?). Click here if you want to read more about the difference between WordPress.ORG and WordPress.COM. If you’re still on the fence regarding the platform decision, I’ll leave you with this thought. I come across bloggers who are in the process of migrating from their current platform (Blogger, Square Space, etc.) TO a self-hosted WordPress.ORG site on a daily basis. I’ve NEVER come across a blogger who is migrating FROM WordPress.ORG to somewhere else. So you (smartly) decided to use WordPress.ORG as your blogging platform. 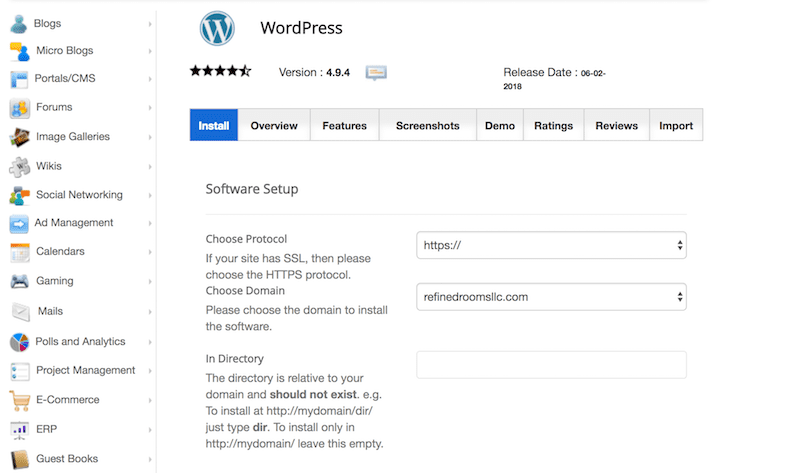 Now, you’ll need to choose a company to host your WordPress website (this is the component of a self-hosted WordPress site that costs money). Your web host provides the server on which your blog will live on the internet. When shopping for a hosting service, you should base your decision on several factors in addition to price. At the top of my list of criteria are: good customer service, reliability, and responsiveness. I’ve used a couple of different hosting companies over the years. After experiencing my fair share of horrific customer service issues and several anxiety-ridden episodes of site downtime, I transferred my hosting to SiteGround, a company that many of my blogging friends have raved about over the years. And after seven months with them, I must say that I’m now a HUGE SiteGround FanGirl! 1. If you are a true Tech Phobe, then you will REALLY appreciate the amount of hand-holding SiteGround provides (if you want it). When I came onboard with them, they made the website transfer process as painless as possible. My site transfer was complete within a matter of hours, and I hardly had to lift a finger. And if you’re creating a new site, they will even install WordPress FOR you for NO EXTRA CHARGE! 2. Siteground’s hosting is super reliable — 99.99% uptime? Yes Please! 3. Not only does SiteGround offer uber reliable hosting, this company provides awesome tech support. In fact, the caliber of their tech support was the deciding factor for me when it was time to make the switch from my former hosting provider. Dealing with my former hosting company left me beyond frustrated and in a puddle of tears on more than one occasion. It was nearly impossible to get a human on the phone or via chat. And when your website is down, your patience with these kind of customer “support” shenanigans runs thin very quickly. Since I’ve switched over to SiteGround last summer, I’ve had a few hiccups with my site that were resolved within minutes when I reached out to them by phone. I’ve been BEYOND IMPRESSED with their support team each an every time I’ve interacted with them. 4. SiteGround provides a free SSL Certificate for your site, which is pretty much essential these days if you want your site to play nice with Google and be considered a trusted place to be on the web. 5. The price is right. SiteGround’s pricing is surprisingly reasonable, given the features that they offer and the caliber of their tech support. I’d gladly pay triple the price of what they charge for all that they offer (especially the peace of mind that comes with being able to reach a human quickly and at all hours of the day/night when my site is down). But I’m glad that I don’t have to! They’ve got a customer for life in me! And apparently I’m not the only one who feels this way, since they now boast a whopping 97% customer satisfaction rate. If you choose to use Siteground for your hosting, here’s the step-by-step process for how to set it up. First, you’ll need to choose a hosting plan to suit your needs. If you plan to blog purely as a hobby, the StartUp Plan is all that you’ll need. 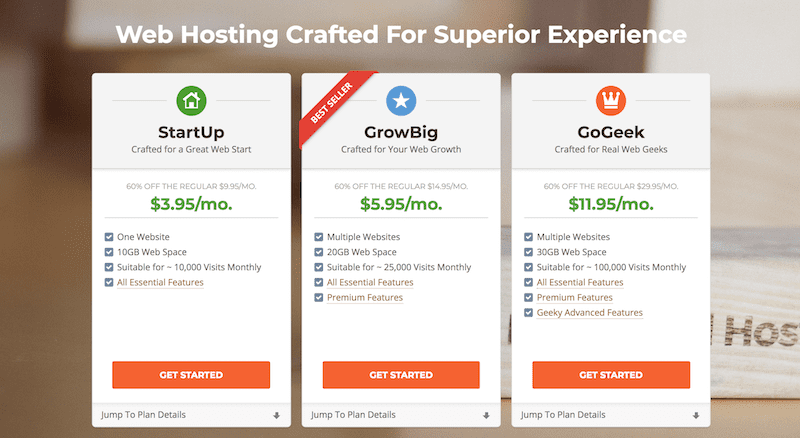 If you plan to blog to make money at any point, I’d recommend choosing the GrowBig plan right from the start (which includes priority tech support, free backup restores, and improved site speed). Over time, as your blog traffic increases and you develop a hefty collection of blog posts, you may need to upgrade to the GoGeek plan (the one I have). Now it’s time to complete your purchase. 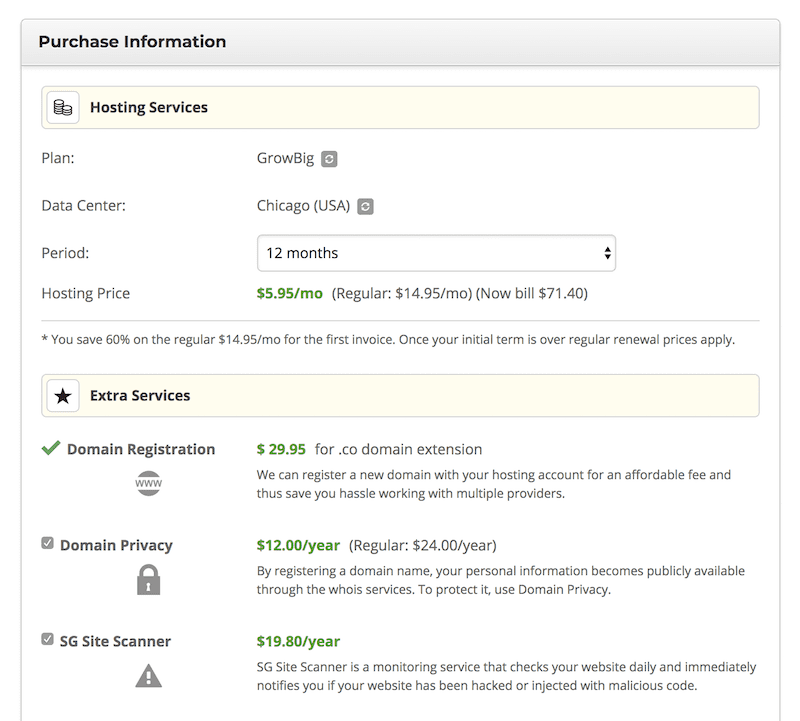 Another unique feature of SiteGround is the ability to lock in their discount pricing over multiple years. Other hosting companies hook you in with deeply discounted rates for the first year, and then hike up your price in subsequent years. If you can swing it, take advantage of SiteGround’s offer to lock in your discount pricing over a 2- to 3-year term. It’s the biggest bang for your buck! During the payment process, you’ll need to decide whether to purchase some optional services to go along with web hosting. These include Domain Privacy and SG Site Scanner. Domain Privacy keeps all of your personal information from becoming public domain. If you aren’t interested in fielding constant calls and emails from people trying to sell you tech-related services for your site, then you should invest in this add-on service (I do). I also made the decision to invest in the SG Site Scanner service because I highly value peace of mind and want to know right away if my site has been hacked. Of course, it’s totally up to you to decide whether or not these added services are worth it for you. Once your review your order details, read and agree to the terms of service, click the PAY NOW button. We’re in the home stretch! 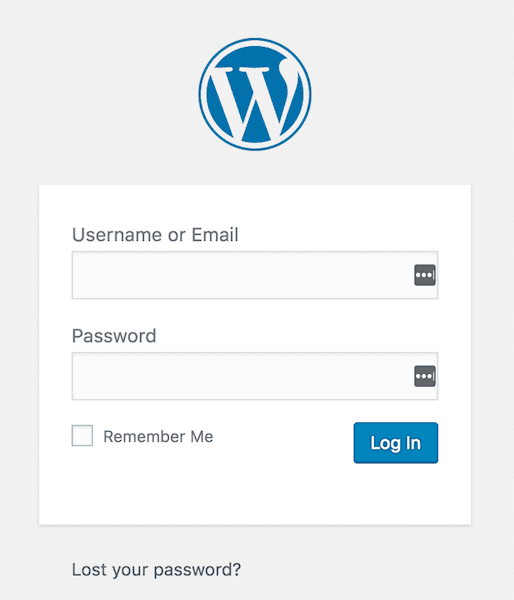 Now it’s time to install WordPress on your new site. Tech Phobes rejoice! Remember how I talked about SiteGround’s handholding service? Well if the phrase “install WordPress on your site” sends shivers up your spine, all you need to do is click on the “Live Chat” Button (top right corner of the site) and request that their support staff install it FOR YOU (fo’ free). 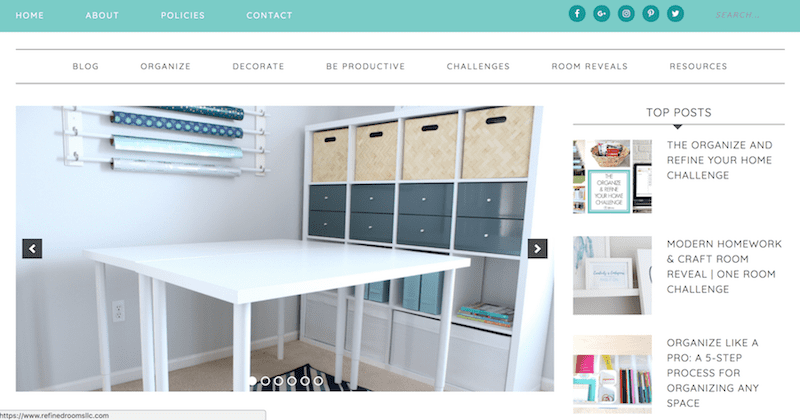 I promise, installing WordPress really isn’t hard, and doing it yourself might give you a little confidence boost if you’re a newbie blogger. 3. Click on the blue INSTALL tab and complete the Software Setup step. 4. 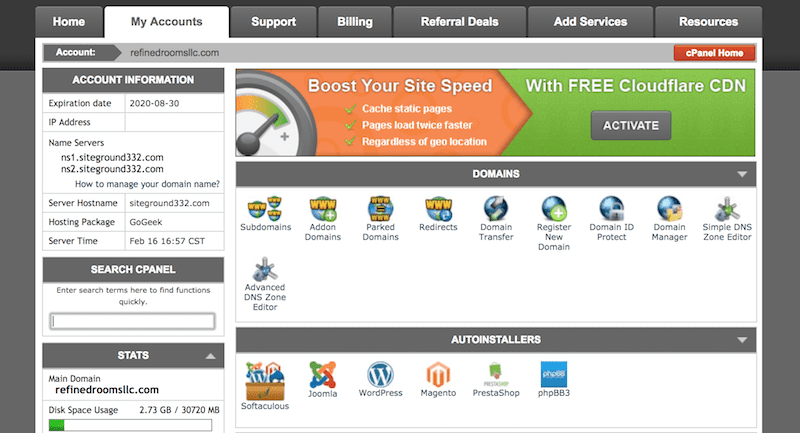 Complete the Site Settings & Admin Account setup steps. Enter the name of your site as well as a description of what your site is about. Finally, select an Admin username and password for your site. Make these as hacker-proof as possible by using many characters and a combination of letters, numbers and special characters (don’t stop until you get the green “Strong” indicator light). 5. Hit the INSTALL button and give yourself a BIG pat on the back…you’ve officially started your blog! Once your WordPress installation is complete, the fun begins! 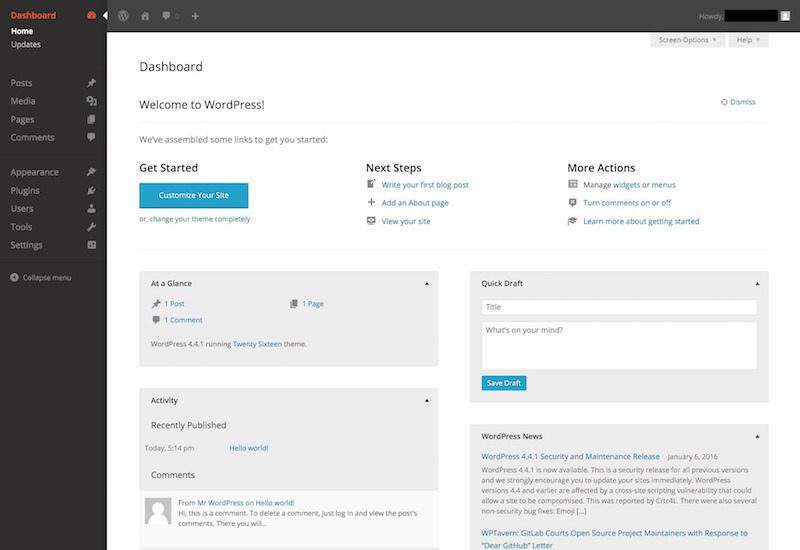 Cue the choir of angels and behold, your very first glimpse of your WordPress dashboard! This is where all of the blogging magic happens, my friend. Unless you have mad web designer/coding skills, I highly recommend using the Genesis Framework (which serves as the theme foundation) coupled with a child theme (which enables you to bling out your site with all of the pretty stuff). For Refined Rooms, I use the Genesis Framework, along with the Savory Child Theme from Restored 316 Designs. 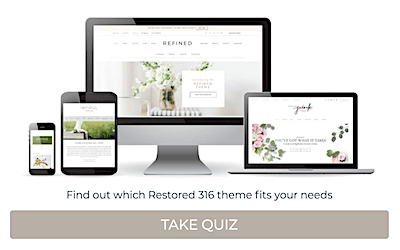 If you’re looking for gorgeous feminine blog designs, I highly recommend themes created by Restored 316. Not only are these themes beautiful, they’re well-coded and fully mobile responsive too. Plus if you ever run into technical difficulties, the Restored 316 team offers amazing customer support. If a feminine theme doesn’t make sense for your blog, you can alway check out the themes offered by StudioPress (the creators of the Genesis Framework), which have a reputation for being extremely well-coded (which translates into faster site speeds and less overall technical issues). 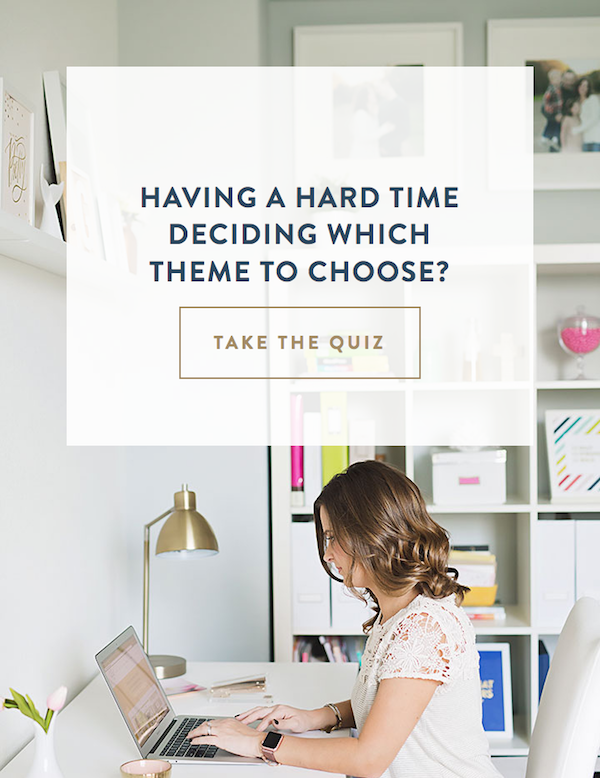 Keep in mind that you can always select a free basic WordPress theme that come standard with WordPress (just click on the “themes” button in your WordPress dashboard). Once you’ve installed your theme, it’s time to roll up your sleeves and begin playing around within WordPress. It will seem a bit daunting at first, but before you know it, you’ll be developing some mad WordPress skills! And that’s how to start a blog my friend! I’m so excited for you! If you’d like to learn more about blogging, I’ve created a blogger’s resource page just for you. 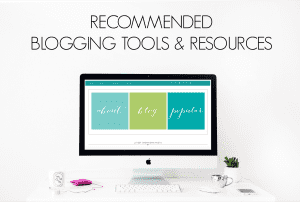 It includes a comprehensive list of tools and resources that I use to run my blog. I’m glad it’s helpful Reese! I’m so glad you found it helpful Sareeta! Thanks for stopping by!